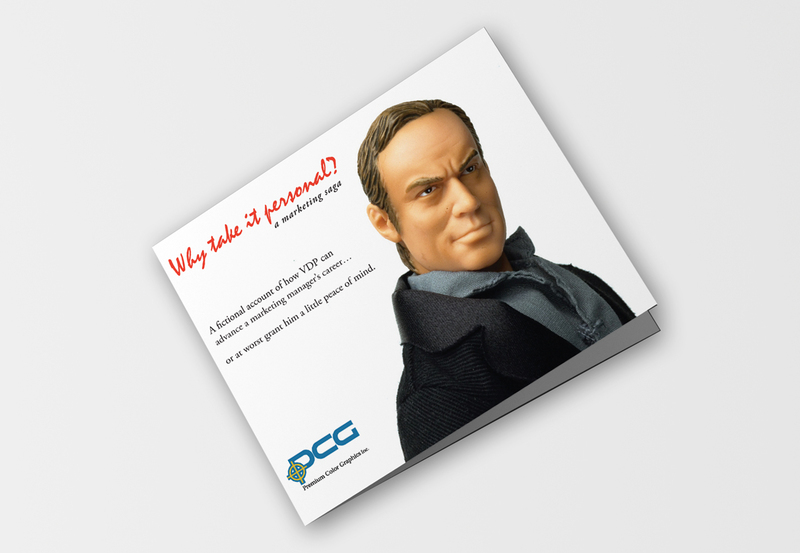 PCG - WHY TAKE IT PERSONAL? 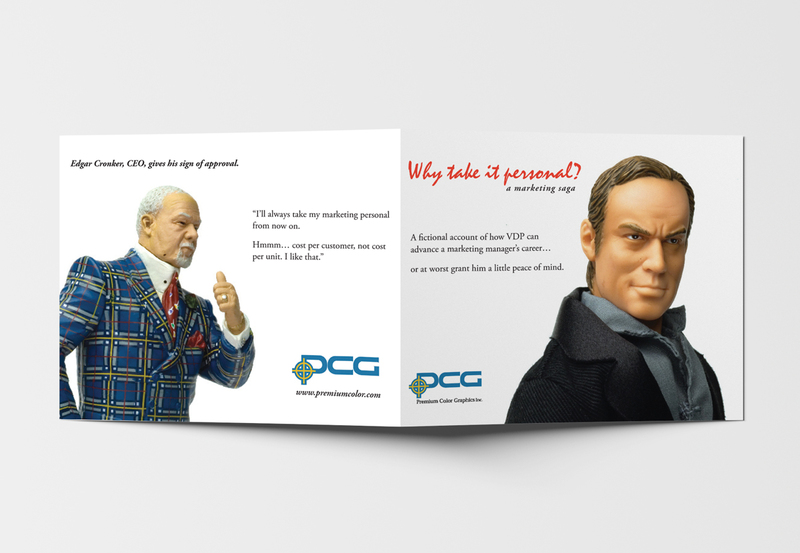 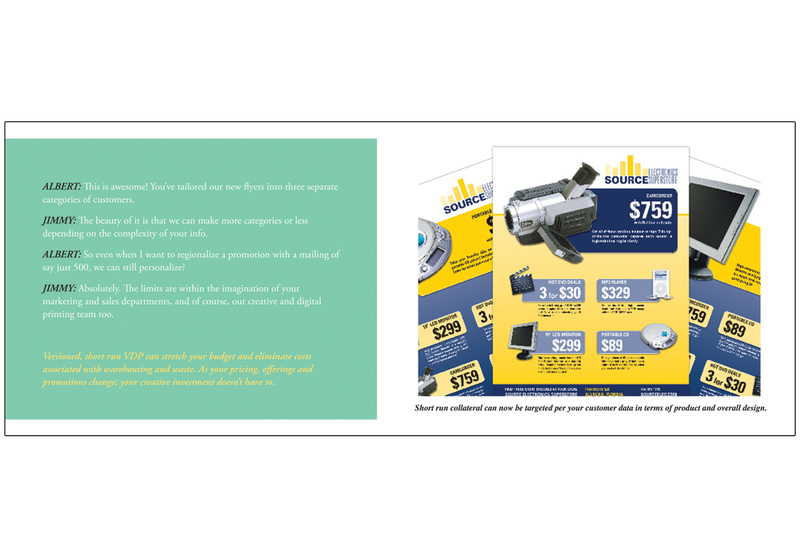 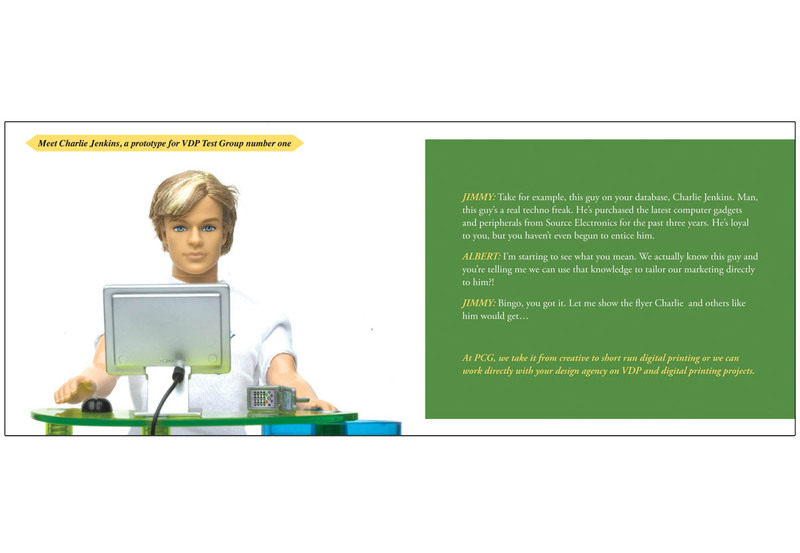 This is a playful promotional booklet developed for PCG to highlight the virtues of Variable Data Printing to get personal with your direct mail. 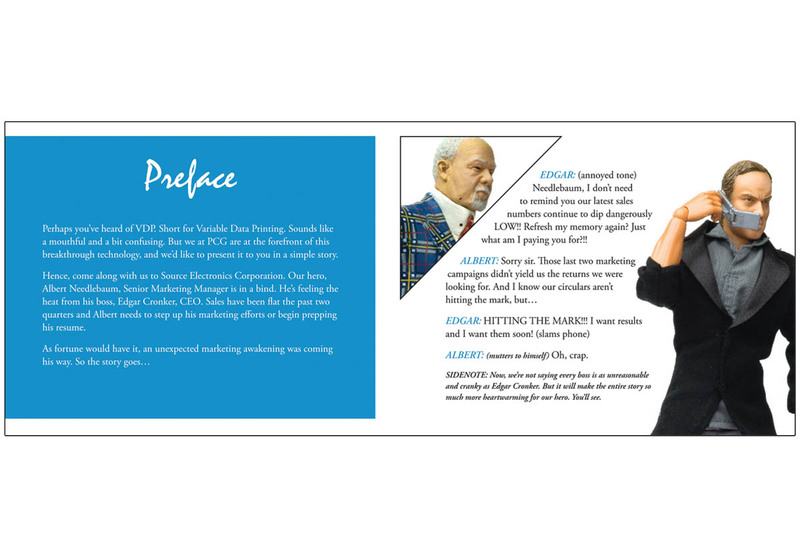 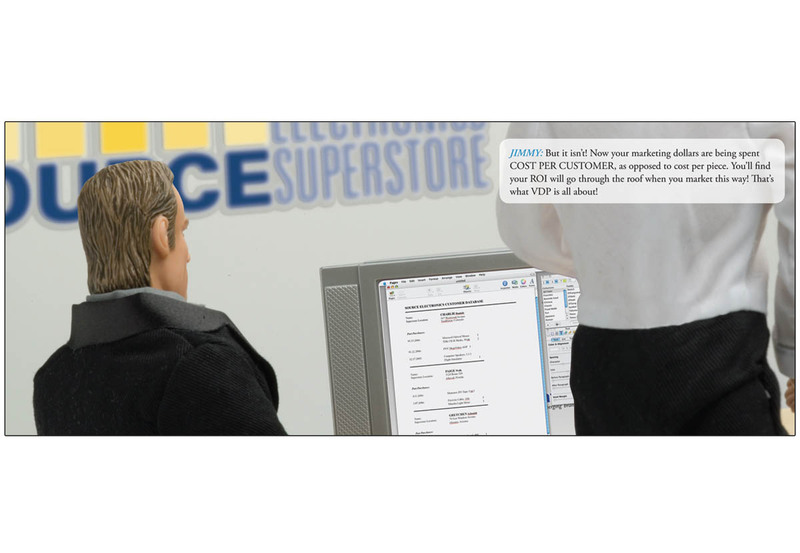 VDP allows you to customize your printing for nearly any design with names, colors and images tailored to a specific audience or individual. 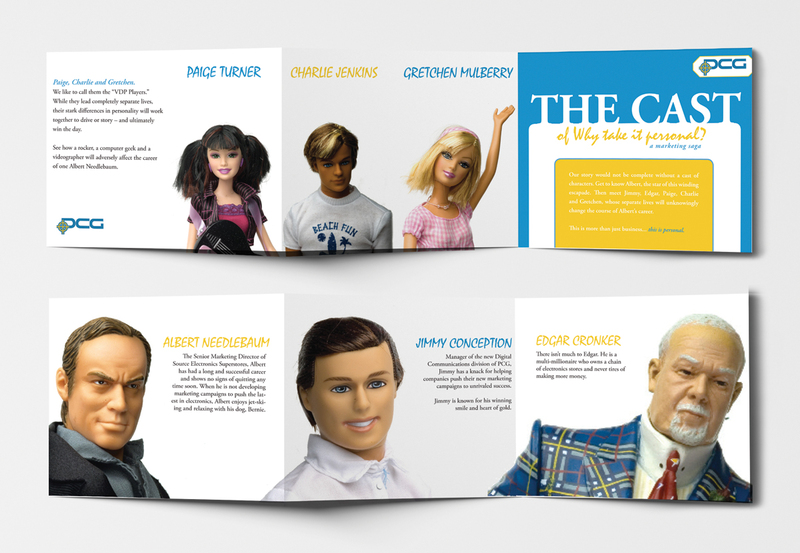 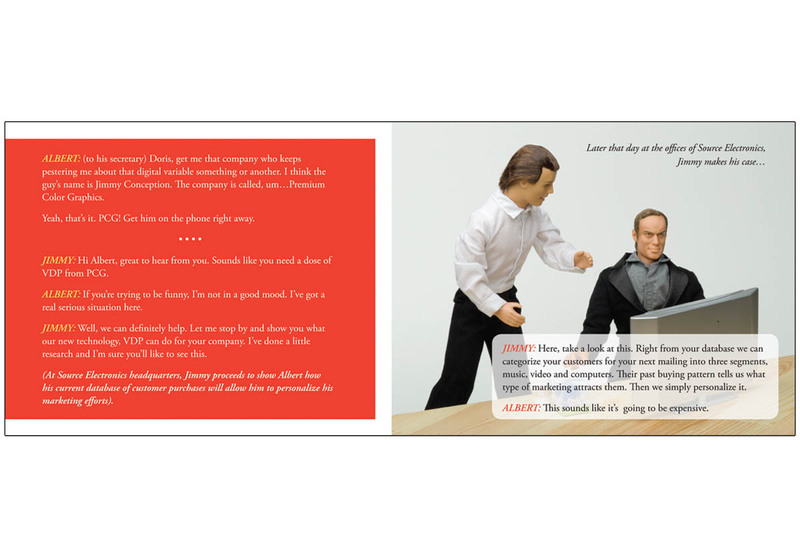 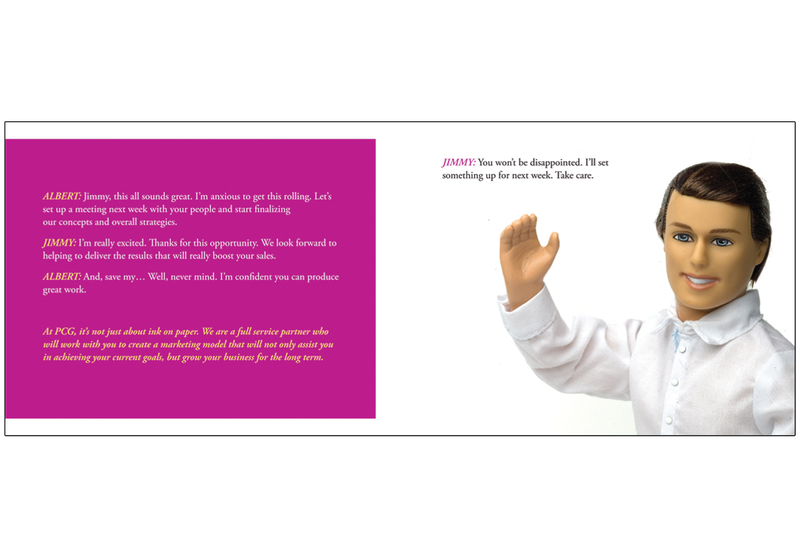 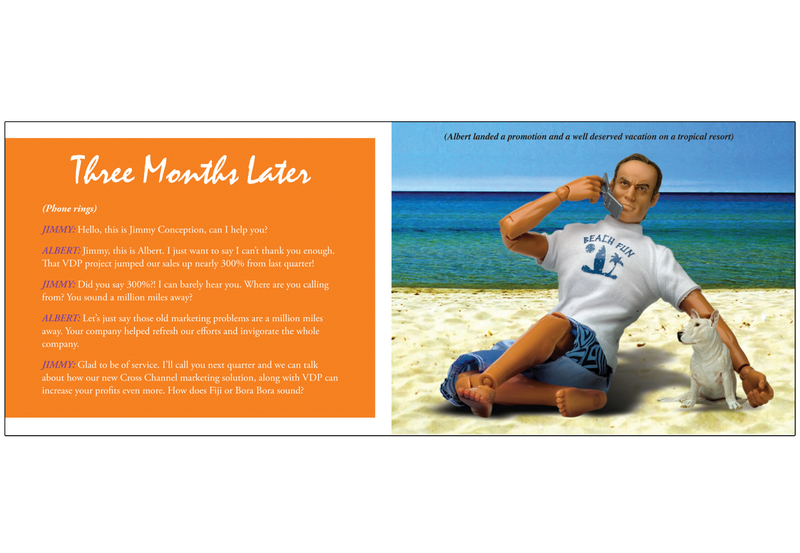 We told the story through doll-like figurines in a charming easy to understand conversational manner.